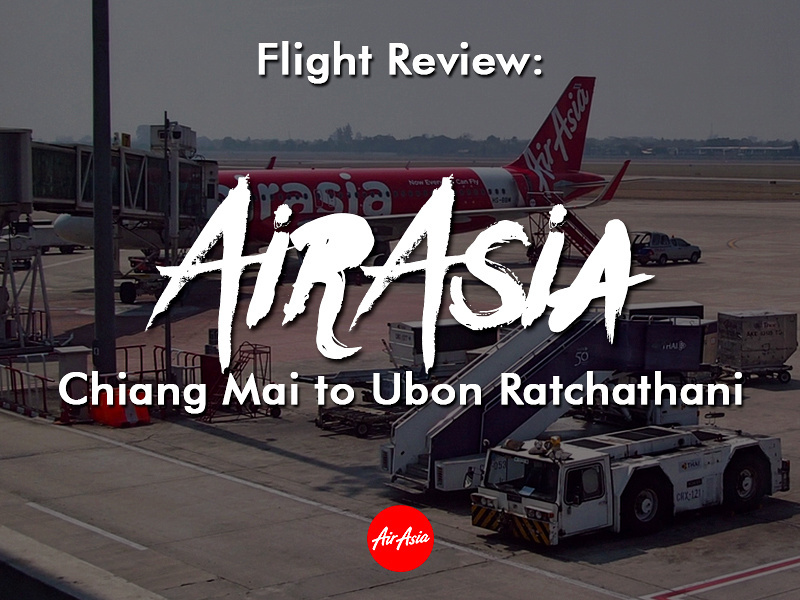 I flew with AirAsia from Chiang Mai to Ubon Ratchathani. I booked it after comparing flights with Skyscanner. This is the only flight option between the two cities, but it is still good to check just in case there is a new flight you don’t know about. 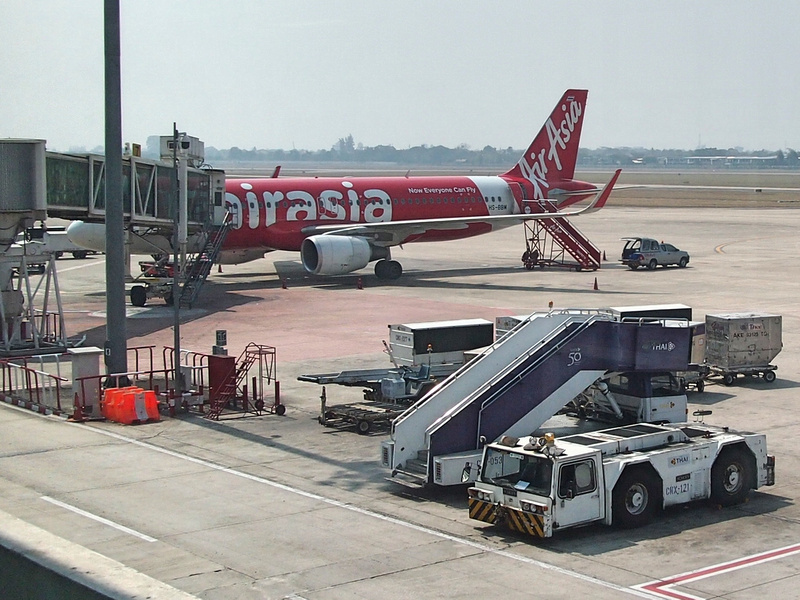 I last flew AirAsia in December, and I’ve flown with AirAsia so many times that I look out for new airlines just to try a different experience. In the end though I was happy to find a cheap flight on a route with no competition. I didn’t check in online so I did that at the airport. 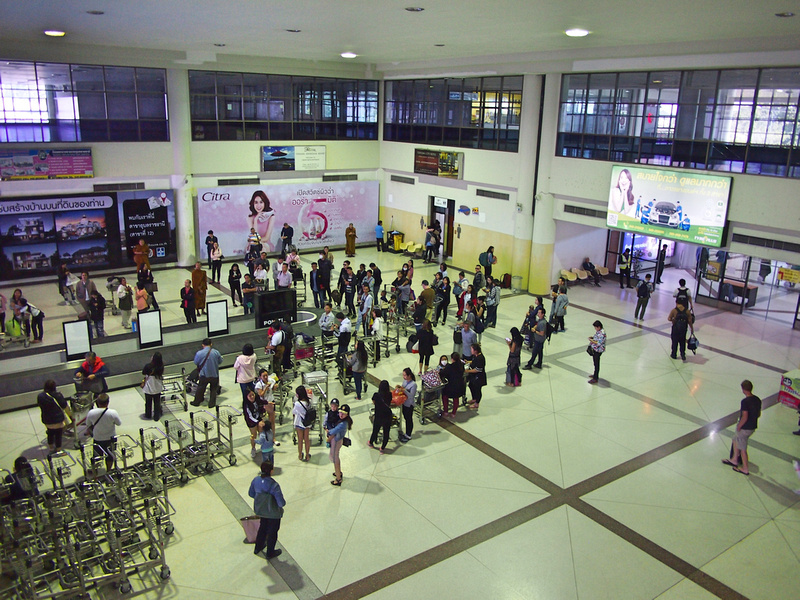 Chiang Mai is a reasonably-sized hub for Air Asia with 14 destinations served at the time of my flight, so there are check-in stations where you can DIY check-in. 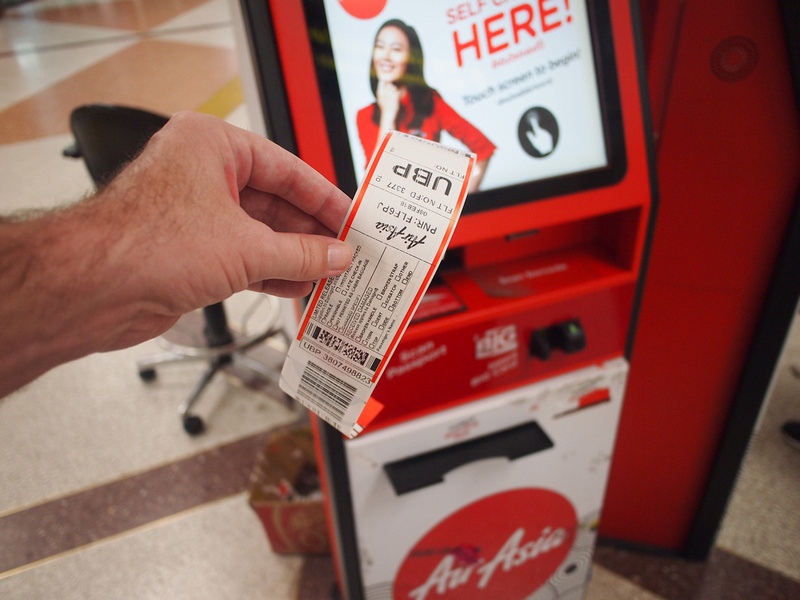 Here you print out a bag tag and then take your bag to the baggage drop. 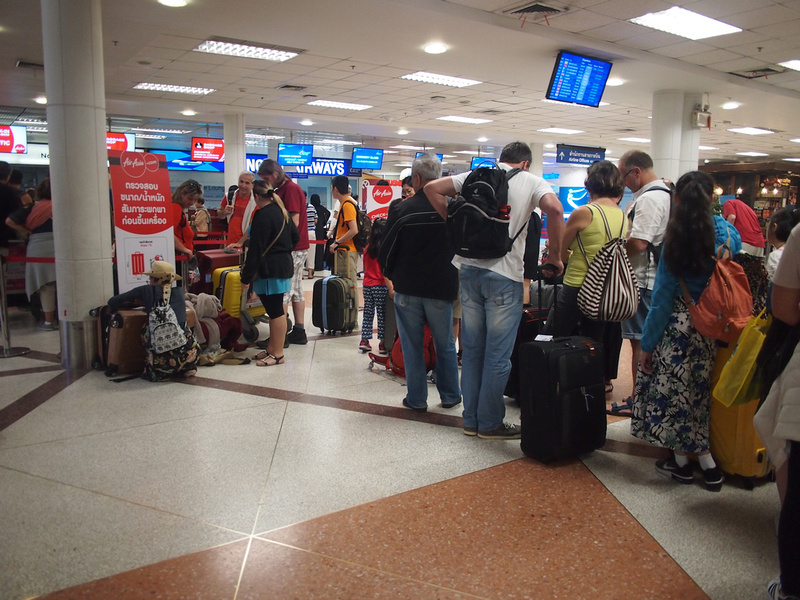 The alternative is to join the check-in queue, which had a long line. Flight 3377 departs at 13.10 and arrives at 14.40. The Travel3sixty inflight magazine comes in a Thai and English edition. 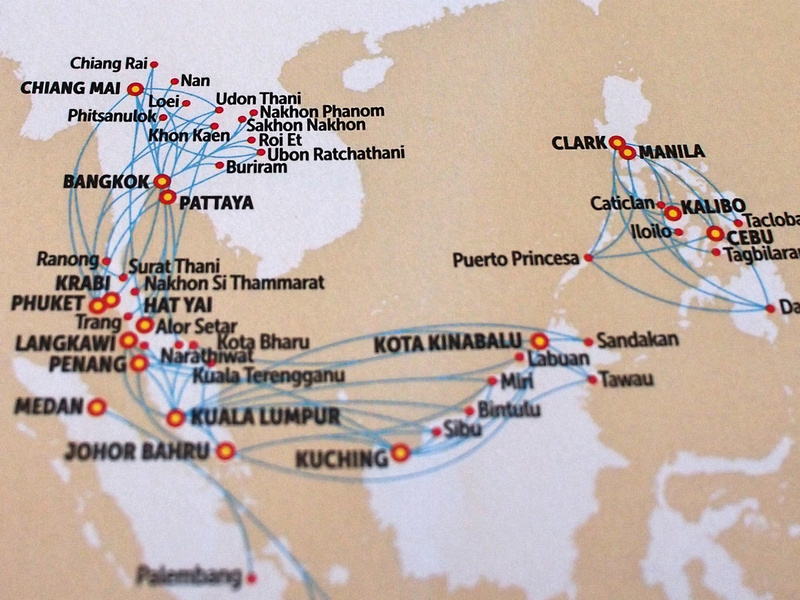 Chiang Mai is well served with domestic Thai flights, which makes it a great home base to travel from. 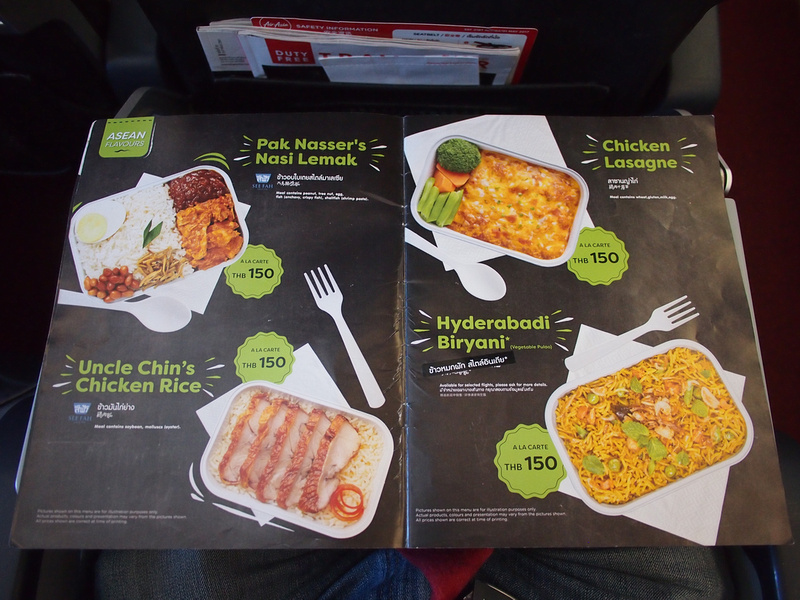 There is no free meal service on AirAsia, but you can order hot meals onboard for 150 THB, or at a discount if you book with your ticket. 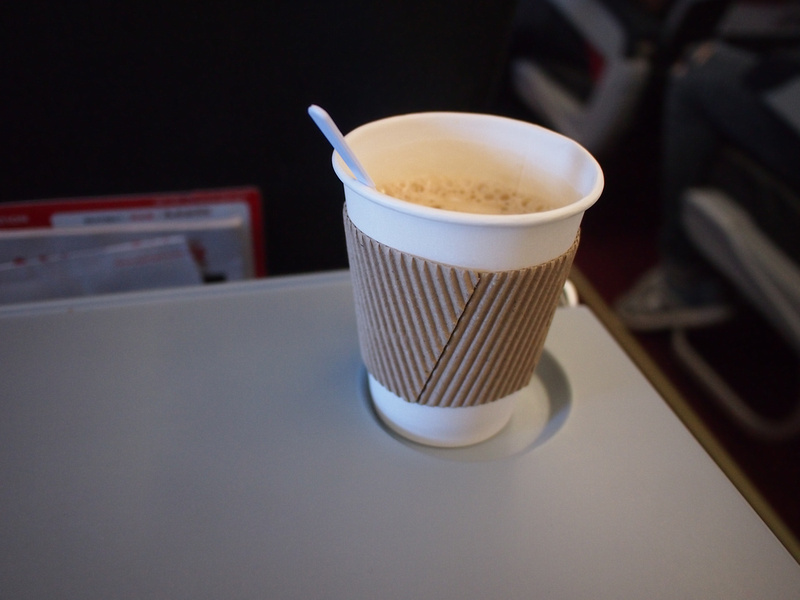 I got a coffee onboard for 60 THB. The scheduled flight time is 1H, 30M. 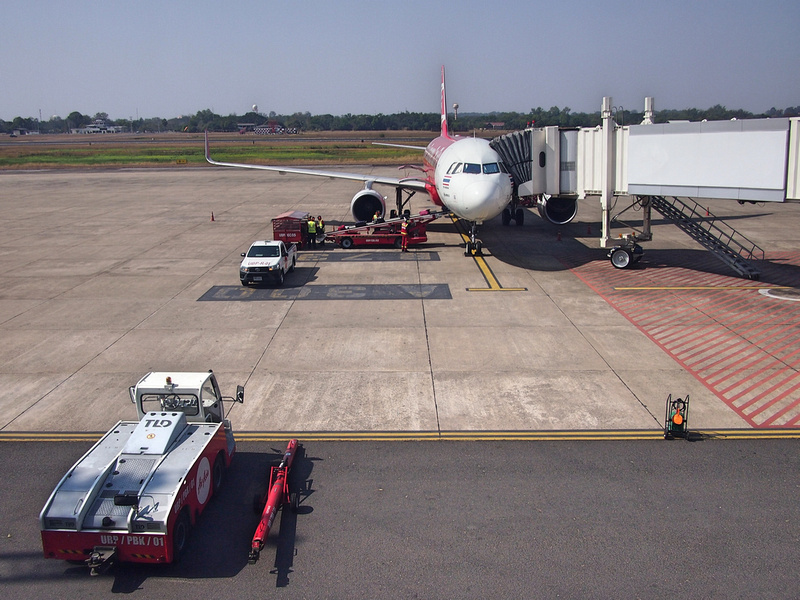 UBP is a small airport, so your bags are delivered quickly. And like Chiang Mai it is also close to the city centre. I got a prepaid taxi for 150 THB. Overall this was an economical way to travel from Chiang Mai to the Isaan region, of which there are otherwise not many flight options. Another good flight with AirAsia.